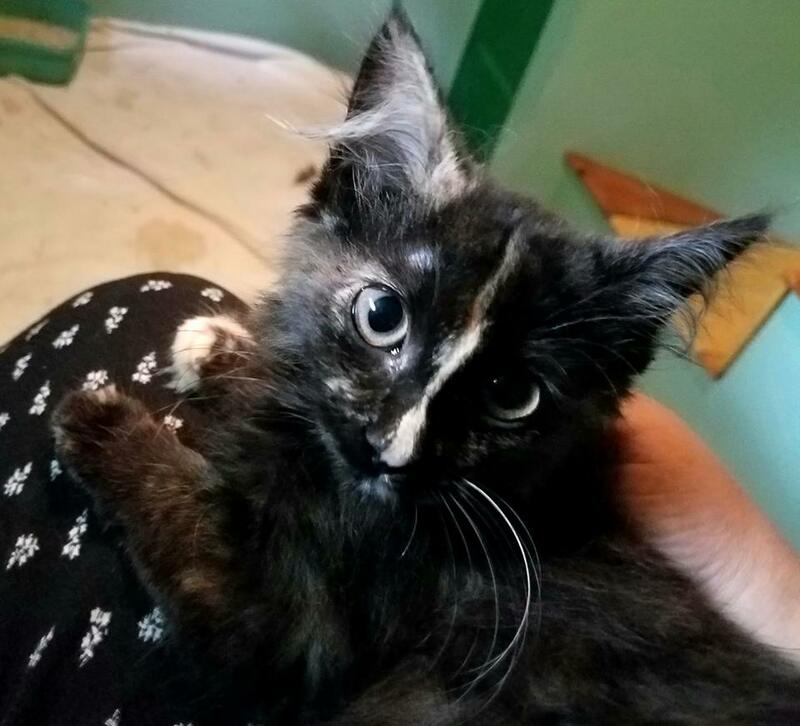 Jolene is a sweet kitten, with a dash of sass! She loves playing with toys on sticks, and perching on the edge of the cat tree. She's a fearless explorer, but she keeps her wits about her! She's not pushy, but she loves to be loved! Do you have a song for Jolene?